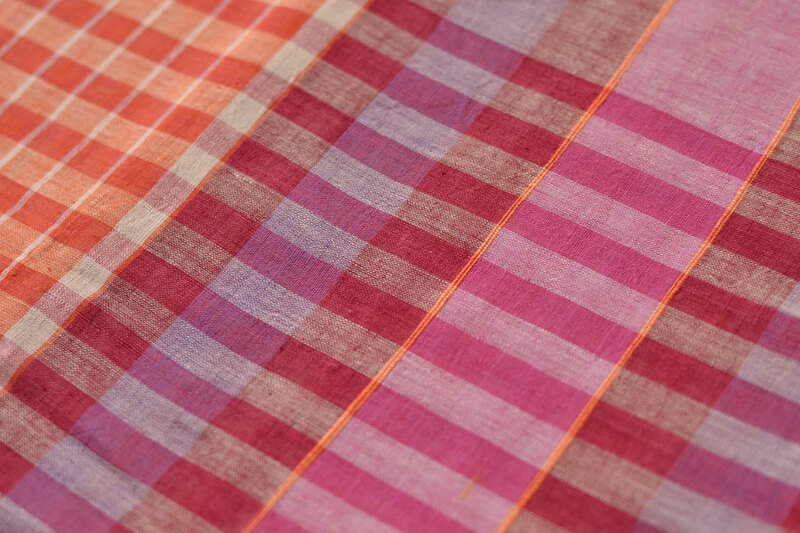 The Gamcha weavers of Brahman Allandia, Chandanpur district, Orissa and Khorda Villages are busy making practical, cheap and infinitely useful textile for the average family. 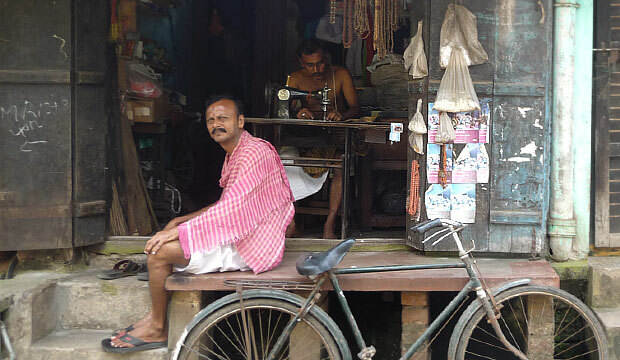 In the sultry wet heat of coastal India it's often the only thing men are wearing! 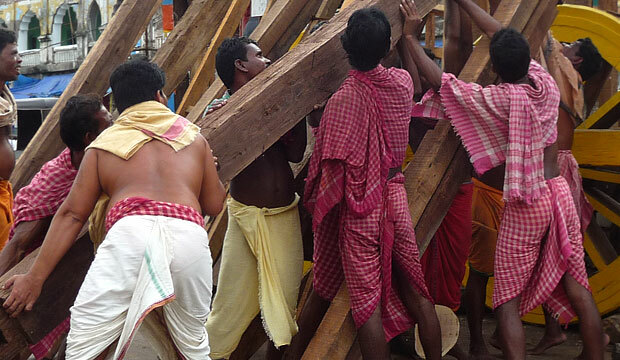 A small village of weavers and farmers, Brahman Allandia is one among a cluster of villages settled by Brahmins from the West to service the great Jaganath temple, consecrated in 1230 AD. These are Model villages conceived according to the Vedic principles of Vastu and optimized for ritual worship with Lord Shiva on one end and Lord Gopinath on the other. The houses lie along a precise line from either east to west or north to south, and have elaborate stone pillars and porches in front. 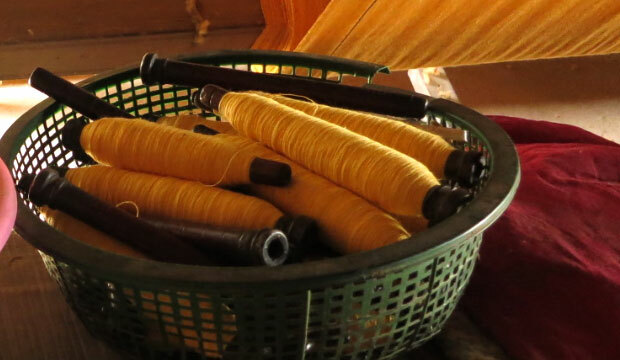 A weaver's home and workplace are the same. The house has a big room in front housing the loom. The storage, the sleeping area and kitchen are at the back. 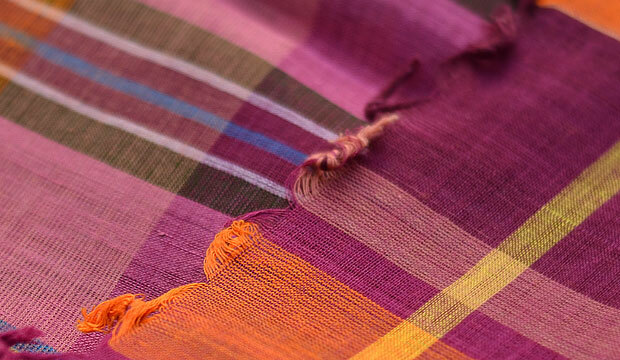 The upright loom is made of heavy wooden beams and is equipped with fly shuttles. 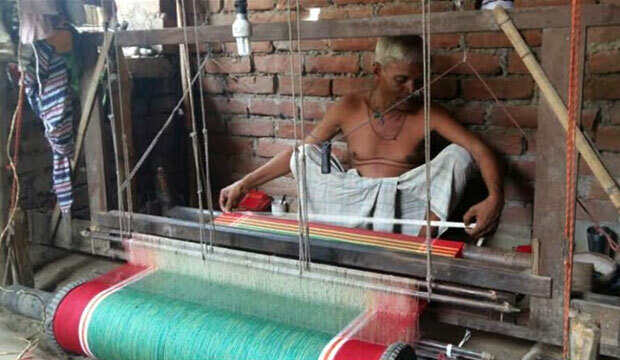 The loom can hold almost a hundred gamcha lengths, so he can just keep chugging along. 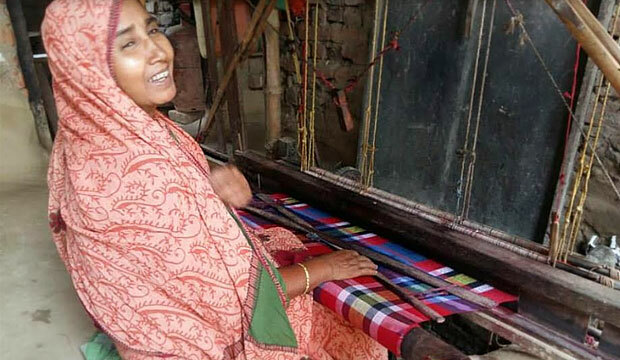 The rhythmic sounds of wood hitting against each other lure you into a trance while the weaver churns three normal length gamcha a day toiling over it all day long. 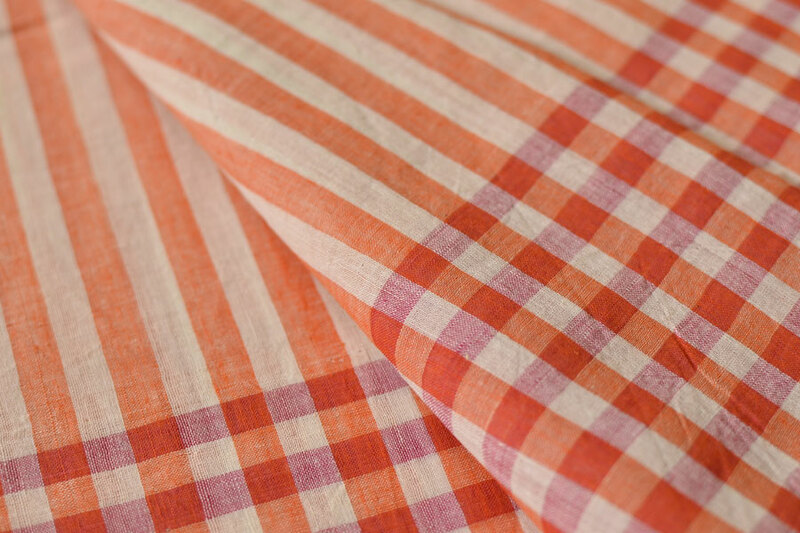 The white warp mixed with the bright red makes the very signature orange of these finished gamchas. These plain ground towels have a distinct ornament on one end that looks like a butterfly, hence the name 'Makki Gamcha'. 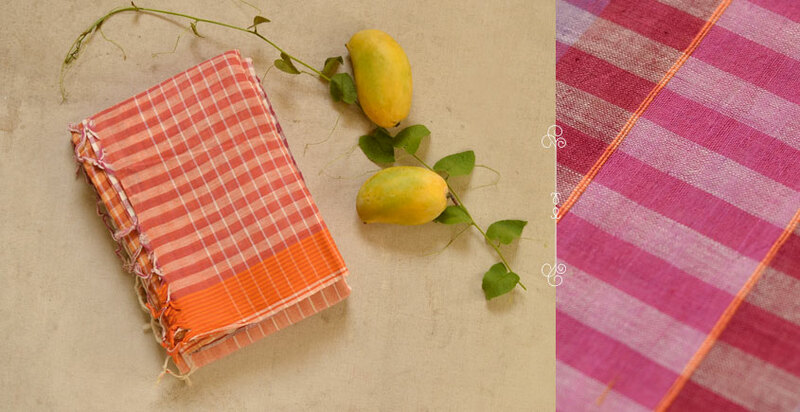 These super soft, durable and incredibly fine towels are revered by locals. They swoon when you present them with one. 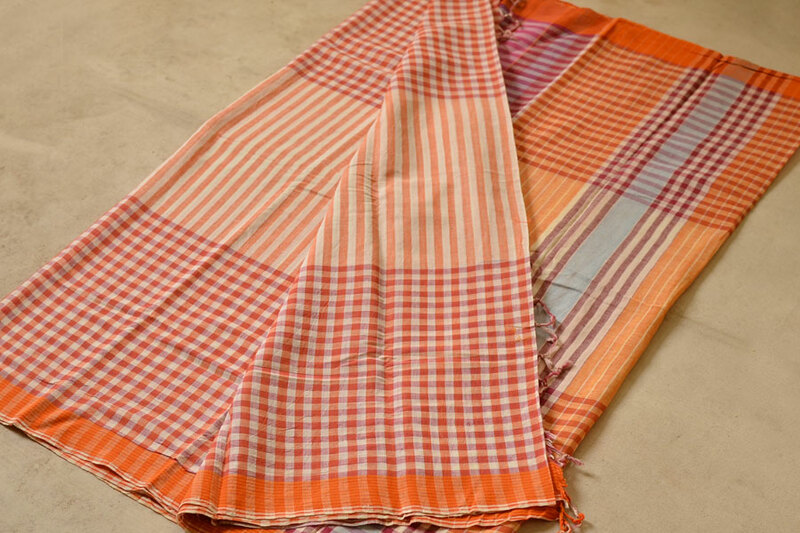 These handloom towels in pure cotton give you a tight twist that easily stays turban like on your head while the mane dries. They also dry quickly, pack small and are something to sleep in and wear as a beautiful scarf. The whole family is involved in keeping the loom going. Shown are the very simple skeining and spool winding wheels. The village is incredibly peaceful and pure with very little of modern life surrounding you. Stepping back eight centuries ago, when it was founded things must have looked all the same in this village . 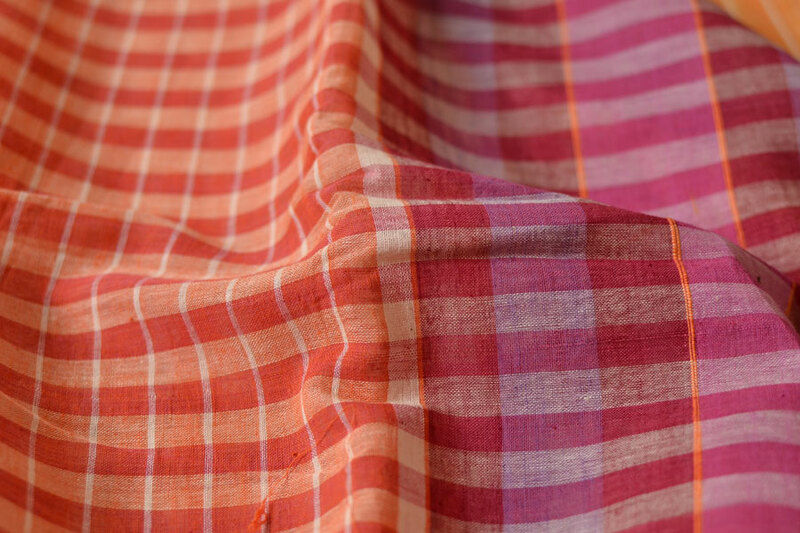 Khorda or Khurda on maps is a little town to the south of Bhubaneshwar, more known for its railway connection than for its weaving... Completely hidden from the world you find some absolutely unique Khorda Gamchas here. 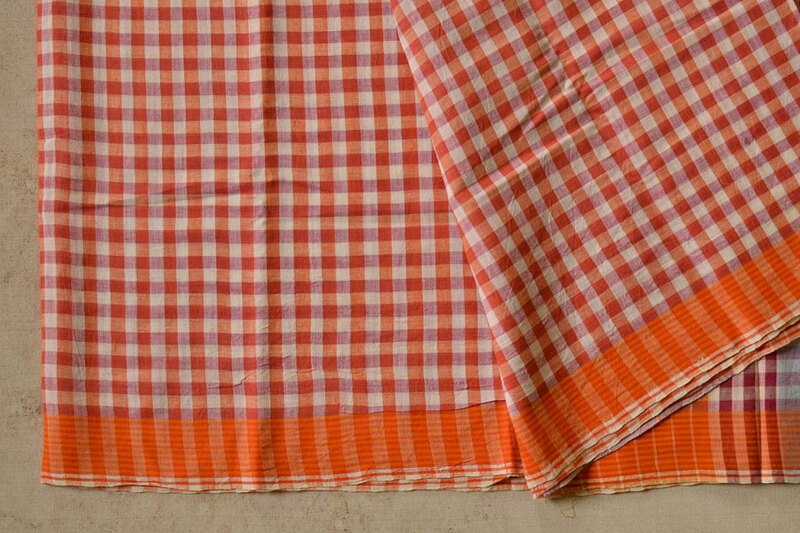 These are a bit of a lighter and finer cloth, very similar to the towels of Sambalpur. 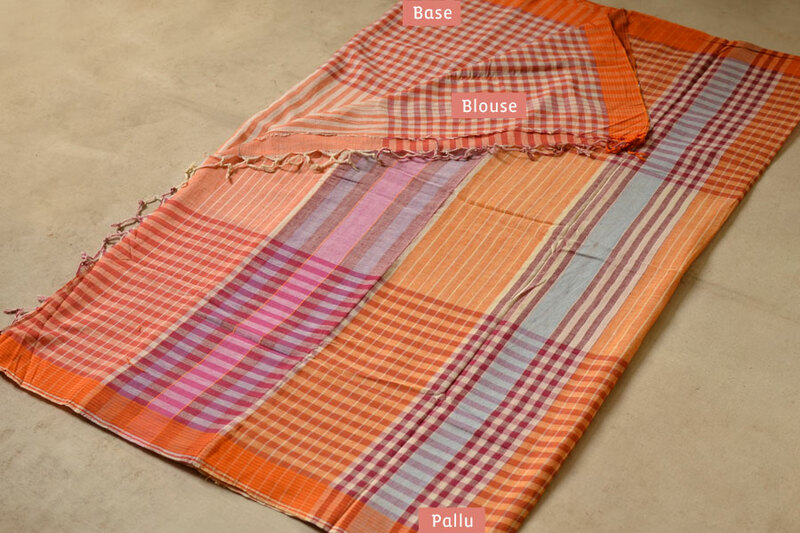 Orissa is a very rich textile heritage state and these 'Gamchas' are practical and affordable, therefore always in demand, that keeps the industry going.